Sam's School of Motoring - Driving Lessons in Penryn and Falmouth, Cornwall. 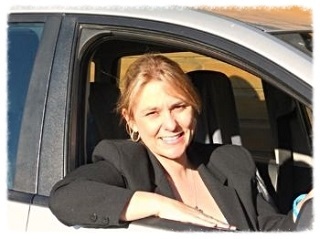 I am a high grade, registered and approved driving instructor with 14 years of teaching experience in Cornwall. My aim is to not only teach you the skills needed to pass your driving test, but also to make your driving lessons fun, professional and as stress-free as possible. I am committed to providing a high standard of driver education, giving you the skill and ability to drive safely and confidently on today's busy roads. Ninety percent of my work comes from recommendations. For this reason, it is important I prepare you to take your driving test as soon as you are ready to do so safely. Therefore, you will not be taking (or paying for) any unnecessary lessons beyond reaching the test standard. I welcome nervous pupils. I like to think that I can teach anyone to drive in a friendly and patient manner, tailoring your driving lessons to suit your ability in a calm, stress-free environment.